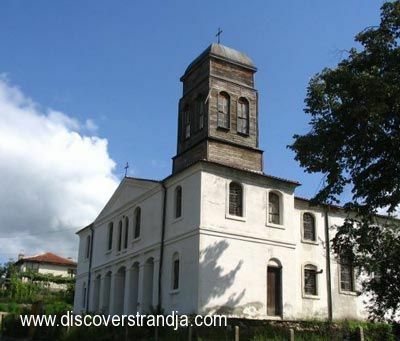 In the small but charming village of Kosti firstly we visit the local church "St. St. Cyril and Metodii". The present church was built in 1909 as the old village church was severely damaged during the Preobrazhensko uprising. The church is mostly famous for its unique iconostasis, a real masterpiece of the wood-carving art, and for the icons in it, two of which are quite old - they were painted in 1893 and 1901 by the renowned icon-painter Kostas Poliksoido. Then we head for the long-waited lunch and rest at the pleasant house of Alexander Pangovski, an old house, which he restored and equipped with modern facilities, preserving the traditional Strandja outlook of both its interior and exterior. 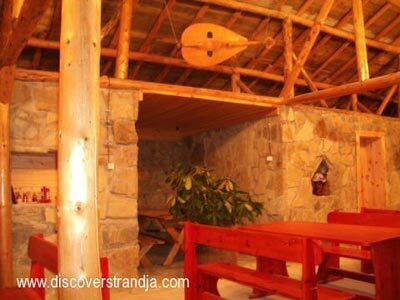 There we will have lunch, including various typical Strandja delicacies and drinks. Next, depending on time and mood, we can stop at the "Megdan" - the village center, where all village gatherings used to take place, now notable for its 4 local pubs (quite a number for such a small village), we can have a look at several old Greek houses, we can visit a typical Strandja village household with its gardens and sheds, we can have a short walk in the forest to see the famous Strandja periwinkle (Rhododendron Ponticum), which grows mostly around Kosti village or we can just start our return trip.